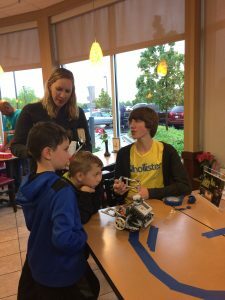 Our outreach last night at Chick-Fil-A in Crystal Lake was great! 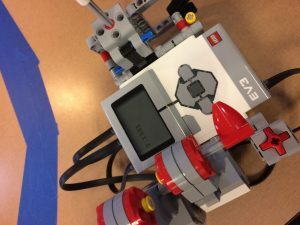 We demonstrated our Lego Mindstorms EV3 robot creations. 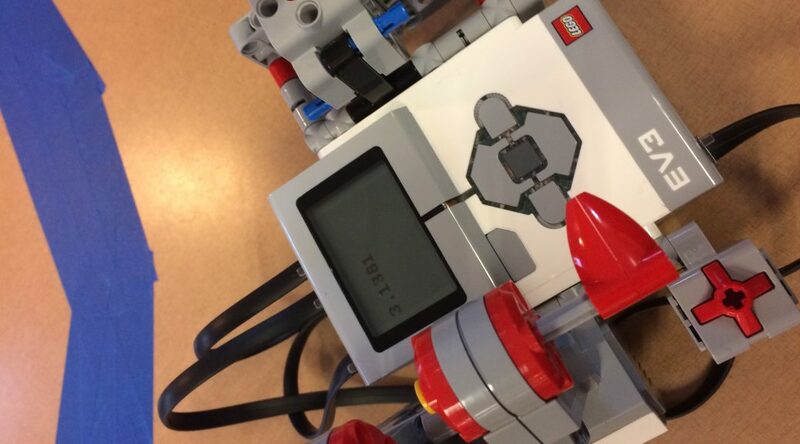 We had a variety of robots, including a line following forklift and a “calculator” that could calculate Pi, square roots and The Golden Ratio! Trevor showing a family his line following forklift.